Looking for a garage to fix the Manual Gearbox on your Daewoo? Save money: Instantly compare Daewoo Manual Gearbox Repairs prices in your local area to find the best deal. Save time: Book your Manual Gearbox Repairs online – no upfront registration required! No need to ring around, hang on the phone or wait until the garages are open – find and book the best deal quickly and easily with our online booking tool. Quick and easy: Simply enter the vehicle registration number of your Daewoo and your post code, compare prices, choose a local garage and book your Manual Gearbox Repairs. Speak to an expert mechanic: If you need to speak to a mechanic about your Daewoo, call one of our experts today on 03304 004439. "Originally chose this garage due to convenient location for me, but they were super friendly and great service. I would definitely use them again and recommend them to others." 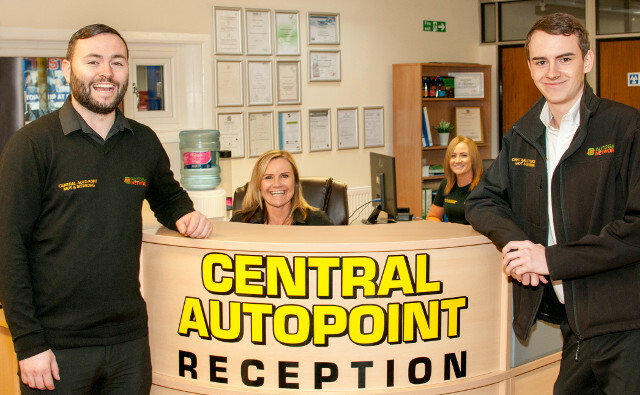 "Happy With work, however upon visiting the garage, my car was not actually booked in for MOT after one of the staff calling just after booking on-line, I think someone forgot to book in, however they did redeem themselves by doing MOT earlier than advised. always BEEN TO THIS GARAGE STAFF very NICE>"
"I had a bad lightbulb and they fixed it for me, cool"
"Very happy staff friendly & polite"
"Always been happy with service"
"Happy with work done,just a bit expensive"
"Very friendly staff and Service completed on time. Good value for money." "Did great job, were also fast and fitted in with our day and were very polite you could not ask more." "Very very happy with service. Highly recommended." "Very happy, served quickly and without fuss, staff very friendly, would fully reccomend this garage." What does a manual gearbox do? A manual gearbox, also known as manual transmission, is a complex mechanical system that transmits the power from your engine firstly to the drive shafts and then to the wheels. As you probably know, manual transmissions change gears when the driver presses the clutch pedal and uses the gearstick to shift the gear. It is the gearbox that allows drivers of manual cars to accelerate from stationary as you move up through the gears - not to mention allowing you to reverse into those tight parking spots. A manual gearbox is connected to the engine through a clutch. The clutch experiences more wear and tear over time than most other parts of your car, due to the heat and friction produced by its many moving parts and components. Although manual gearboxes are specially designed to carry the enormous loads caused by transmitting the engine's power, some wear is inevitable. Mostly, the gearbox will still work with some wear, but over time problems can occur. From time to time, you should have your gearbox oil checked and changed. It is important to do this as major issues can arise in gearboxes that are not properly looked after. You should always get any worrying symptoms checked out by a professional as soon they develop. Enter your VRM and post code above to find local garages who can diagnose and fix any issues. How long does a manual gearbox last? There is no set number of years or miles that a manual gearbox will last. However, the average lifespan tends to be around 150,000 – 200,000 miles. There are different variables which will have an effect on how long your gearbox will last. For example, using fluid which has not been recommended by the manufacturer, incorrect use of the gearstick or how often you have your car serviced. What’s involved in a gearbox service? Manual gearbox repairs and replacements can be inconvenient and very expensive. Gearbox oil (also known as manual transmission fluid) is the key to keeping your gearbox healthy and you should always ask for this to be checked during your annual service if it's not already included. If you book a service through BookMyGarage, the mechanic will follow our service schedule, and all of these include checking for transmission oil leaks (whether you book an interim, full, or major service). If there are any leaks or the oil needs to be changed/topped up, they will do this for you too. Many manufacturers recommend that you have your manual transmission fluid changed every 30,000 to 60,000 miles. What are the possible signs that there are issues with your manual gearbox? The most common manual transmission issues are resolved by replacing the clutch. There are three parts that are usually replaced during this process; the clutch disk, pressure plate and throw out bearing. If you suspect an issue with your clutch or manual gearbox, you should have it seen to promptly. Enter your VRM and post code above and you can compare all of the garages in your local area. You can use their reviews, prices, location and extra services offered to select a suitable garage and then book online. You can either book a diagnostic check, where the mechanic will diagnose any issues, or book a service and your transmission will be checked for any oil leaks and topped up if required (amongst a number of other checks). Daewoo was a South Korean car manufacturer which sold vehicles into the UK market between 1995 and 2003. In 2001 General Motors bought the assets of the failing company and most of the Daewoo models were rebranded as Chevrolets, while the Daewoo company itself was replaced by GM Korea. Known for producing inexpensive, reliable cars, Daewoos had a great run of success in the late 90s and early 00s and so there are still plenty about on UK roads. The Daewoo garages listed here provide a range of services. It doesn’t matter what problems you’re experiencing, you’ll find a specialist Daewoo mechanic for the problems below and much more.